UNITED NATIONS, New York/KYESHERO, Democratic Republic of the Congo – Women do not stop giving birth when disaster strikes. Every day, about 500 women die of childbirth-related causes in humanitarian emergencies or fragile settings. Yet women’s reproductive health needs are not considered priorities in humanitarian response. To change this, representatives of Bayer, Benetton, General Electric, and Johnson & Johnson, and advocacy organization Zonta International met yesterday with United Nations and foreign affairs officials at UN Headquarters in New York to pledge their support for the Safe Birth Even Here campaign. The campaign aims to increase access to reproductive health care in crisis-affected areas. “When we hear that women are giving birth in the desert between Syria and Jordan, that women are giving birth in an underpass while waiting for a train in Budapest … we have to look at what we are partnering to do,” said Joy Marini, executive director of maternal and child health at Johnson & Johnson. Four years ago, Sarah Nyirangirimana was thrilled to be pregnant. She had struggled to conceive after her first child was born 11 years before. “I was the happiest woman on earth and was looking forward to giving birth to that child I considered a gift from God,” she recently told UNFPA. But Ms. Nyirangirimana lives in the North Kivu Province of the Democratic Republic of the Congo, where a brutal conflict was raging, keeping her from reaching health care. 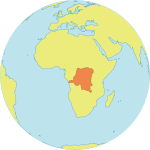 Her town in the mountainous territory of Rutshuru was at one point seized by rebel fighters. People were afraid to leave their homes. Under these conditions, Ms. Nyirangirimana went into labour. She was in agony for hours. “It was painful. Only family members who did not have any medical background attended to me,” she recalled. There was no way to know that she was experiencing dangerous childbirth complications – until she gave birth to a stillborn baby boy. And her ordeal was not over. Ms. Nyirangirimana suffered serious injuries from childbirth. After stability returned to her region, UNFPA helped her receive surgery, but she has still not been able to fully recover. UNFPA and its partners are working to ensure women like Ms. Nyirangirimana have access to reproductive health care, even in emergencies. This means not only maternal health care, but the full range of health services needed to protect women’s health and rights. This includes access to family planning, sexual health information, and gender-based violence prevention and responses. “We must recognize that for a woman who is about to give birth, or for the adolescent girl who survived sexual violence, these life-saving services are as vital as water, food and shelter,” said UNFPA Patron Princess Mary of Denmark at the UN meeting. The companies' representatives highlighted the importance of using their strengths and resources – such as technologies, supply chains and awareness-raising abilities – to support these efforts. “The private sector has a huge role to play in leveraging cutting-edge innovation and resources,” said Jeanette Fielding, Bayer’s global policy head.